Moonistry is a lightworker service dedicated to promoting wellness through spiritual education and application of spiritual principles in day-to-day life. It is a movement of lightworkers uniting in our hearts and minds to effect radical change in ourselves, our relationships, our communities, and our world. Every week members meet to reflect, remember, and recharge. Whenever we gather we amplify our intentions and move huge amounts of energy. We take time to share and receive the benefit of our true nature, which is the power that creates and sustains the universe. Every new moon is an opportunity to start again. Every new moon is a new cycle with a new topic and a chance for new members to join. You can pre-register at any time of the month so you’ll be ready to go when the new moon comes. After the new moon, the circle will be cast and no new members will come in until the next new moon. Before the start of the new moon cycle, you will receive all the information you need for your membership including how to access our weekly conference and our member site, information on that month’s theme, any upcoming member appreciation deals, plus any other news of the month. Step into circle for a sliding scale membership fee of $33 – 55 per moon. Cancel any time. Start with a free phone consultation with Tatiana to sign up. For special requests, more information, or assistance, contact Tatiana HERE. 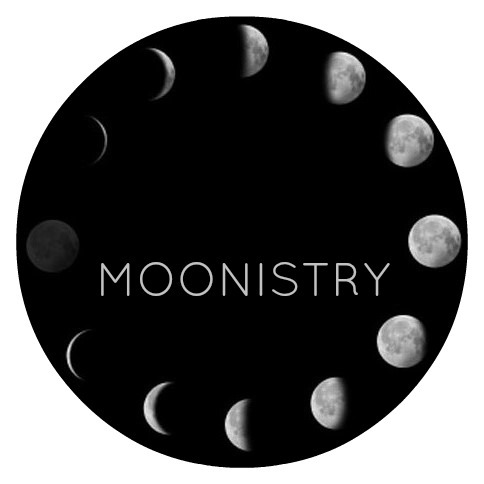 Moonistry is devoted to being truly helpful in alleviating suffering through spiritual education. We are lightworkers dedicated to sharing inspiration, encouragement, and guidance. We support each other and our community through spiritual service. We are devoted to developing our practice of unity consciousness to experience more unconditional love every day. We are interested in actively practicing radical love for heart healing, resiliency, and liberation of ourselves and everyone in the collective. We know that all beings are created sovereign and free and dedicate ourselves to bringing the illusions of the man-made world into the light of truth. We know that when we come together, our intentions are amplified. We know that what heals one heals all. We trust in the mystery of the oneness that transcends thought, words, or explanation. We trust that the infinite power of love is our true nature and that it will prevail. We know it in our hearts. We let it be. And so it is. Tatiana Sakurai is an ordained minister and counselor who is devoted to a full-time practice of spiritual service. Her passion is sharing lightworker education and transformative energy + consciousness tools to empower and bless all beings everywhere.